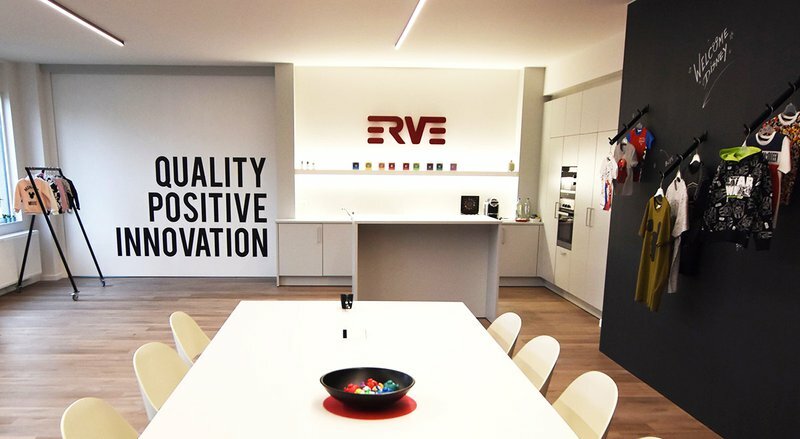 Erve Europe is opening a brand new showroom in the heart of Europe, near Brussels Airport. 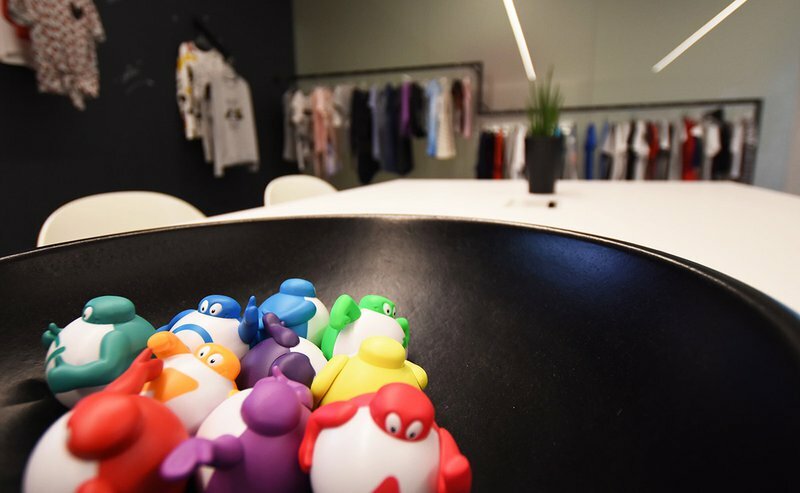 This showroom offers buyers and retailers, licensors, agents and suppliers an inspirational insight into future trends and basic collections. 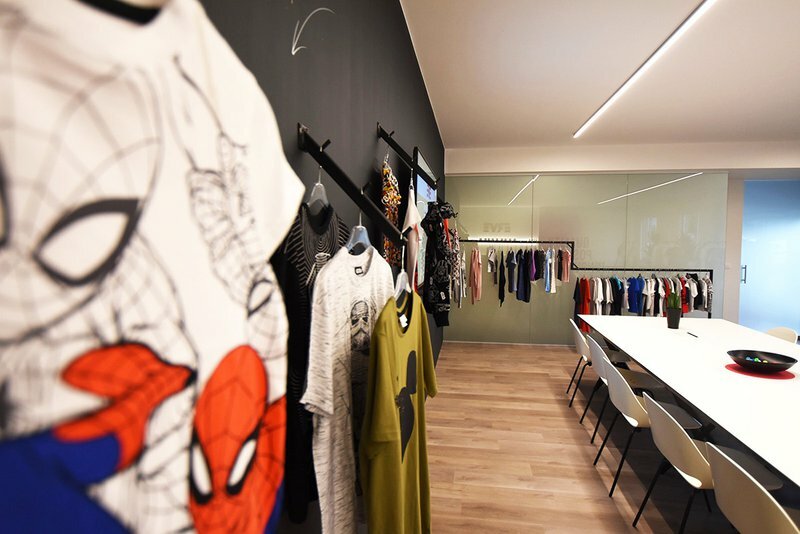 With an opportunity for all visitors to discover new designs, feel the fabric, experience the quality and get information about the latest production techniques. Our team has worked hard the last few months to create a multifunctional meeting space to welcome and inspire buyers and retailers, licensors, agents and suppliers. 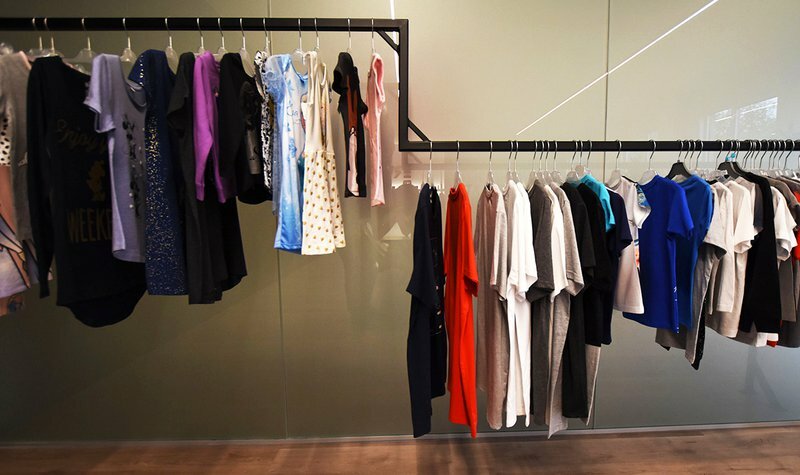 A place where visitors can meet our designers, trend watchers, merchandisers, commercial and quality managers in Brussels. Where they can communicate, via Skype, with our Erve Group team members in: China, India, Bangladesh, Ethiopia, Russia, Australia and the USA. The new meeting space is tastefully decorated with Belgian furniture. 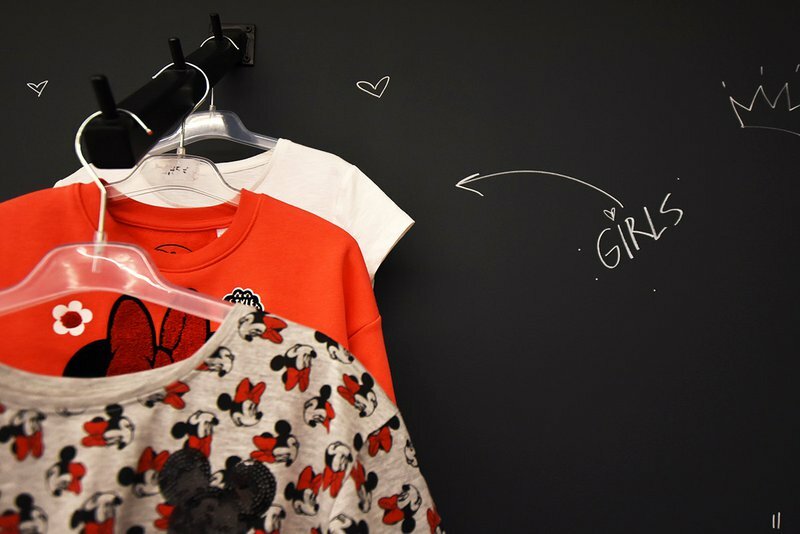 It shows new collections of licensed apparel and branded fashion for babies, boys and girls, women and men. Our expertise: daywear, nightwear, underwear, swimwear, socks & legwear (hosiery), accessories and jackets. The showroom has giant magnetic blackboard walls to facilitate creative mind storm sessions using good old chalk drawings combined with multimedia tools. 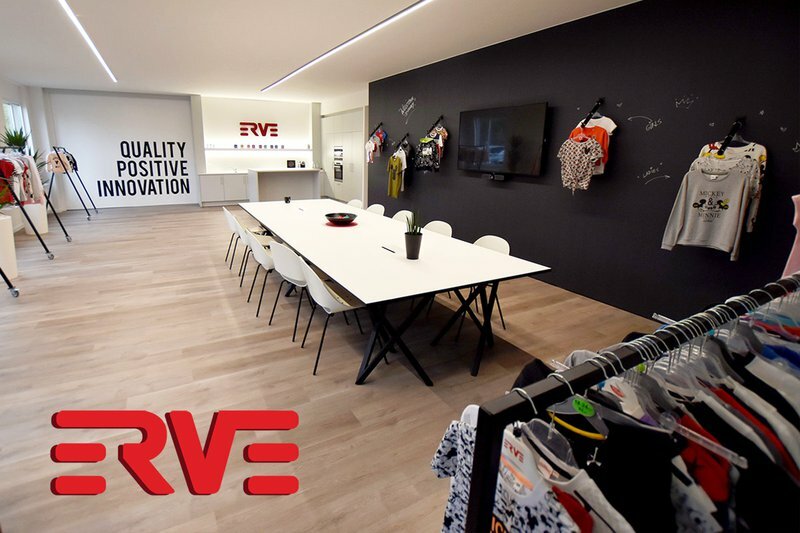 Erve Europe’s showroom offers buyers and retailers a chance to discover exclusive designs, get inspired by future trends and basic collections. An opportunity to feel the fabric, experience the quality while being updated about the latest production techniques at the same time. Everyone in the apparel industry who is interested is encouraged to contact us and schedule an inspiration session. We would love to welcome you.